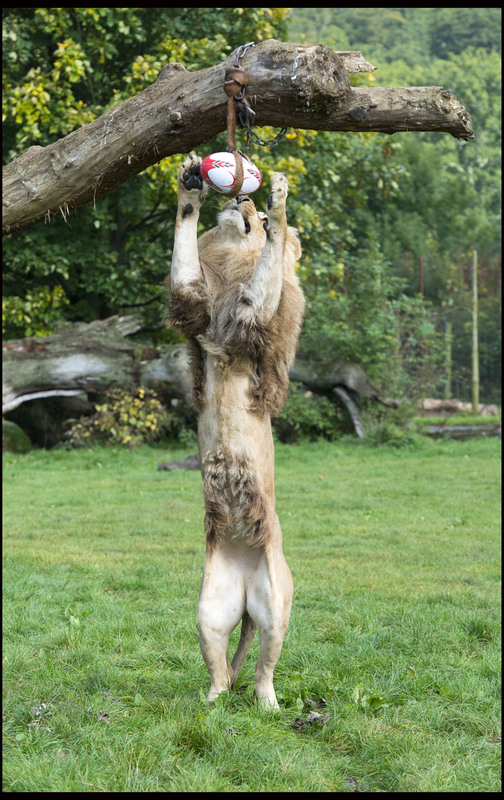 Longleat’s lions showcased their rugby skills ahead of England’s crunch World Cup tie against Wales on Saturday. 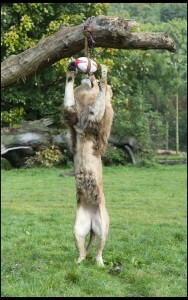 Keepers at the Wiltshire safari park set up their own version of a ‘lion-out’ by suspending a rugby ball from a tree in their woodland home to see how the big cats would react.Within minutes young male Klaus was demonstrating his athletic prowess by leaping off the ground to wrestle the oval ball to the ground. “They’ve always been alarmingly good at rucking and mauling but we wanted to see how they’d tackle the high ball,” said Longleat’s Ian Turner. “Despite weighing close to 180 kgs Klaus is actually extremely light on his feet and leapt high off the ground. “With a reach well in excess of three metres I think it’s safe to say he’d probably come out on top against the world’s best, although his passing skills do leave a bit to be desired,” he added. 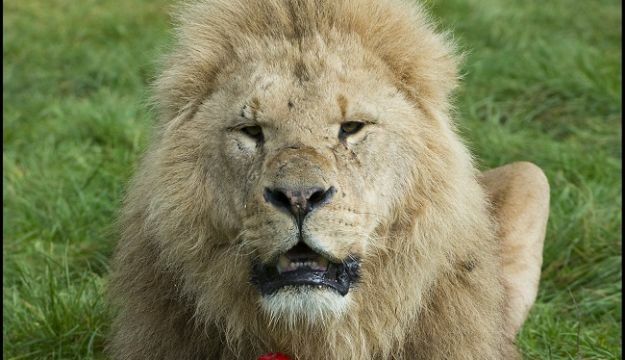 Male lions usually reach their full size by the age of two, while females will be about three years old before they’re fully grown. Adult lions can weigh up to 200 kgs and grow to lengths in excess of three metres.